Grab your faux fur coat and snow boots! Gelish is snowbound with the Thrill Of The Chill Collection for Winter 2017. Ice Cold Gold - A gold glitter special effect. Can be worn alone or as an overlay on top of any of the Collection shades for an even more frostier look! A Collection filled with six wintry tones. 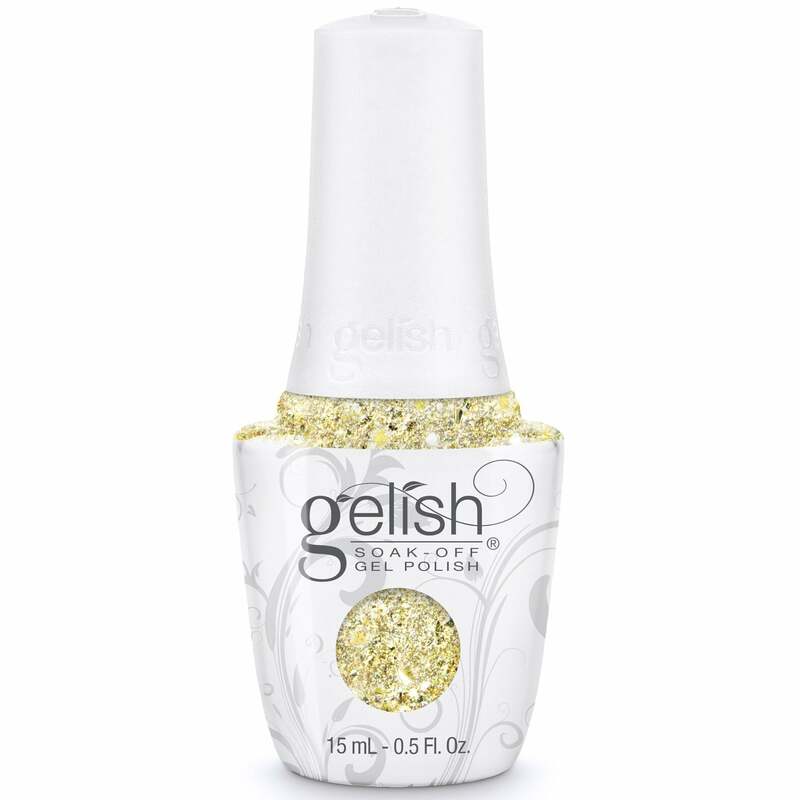 Gelish Soak-Off Gel Polish applies like Nail Polish and cures in a LED Lamp in 30 seconds, or 2 minutes in Traditional UV Lamps. Stays on nails for up to 3 weeks. No chipping or peeling and soaks completely off in only 10-15 minutes. very pleased with this purchase. a beautiful colour.